Whether you’re a novice or seasoned fisherman, this area has plenty to offer when it comes to fishing in Carolina Beach. Folks travel from near and far with hopes of reeling in a big one. Carolina Beach is popular among North Carolina fishermen as well as fishermen visiting from out-of-state thanks to year-round fishing and a wide variety of fish biting in the area. Cast a line off the pier, surf fish along the shore or hire a charter for a deep sea fishing adventure. Carolina Beach fishing offers countless outlets to get a line in the water. Whether you want to go for big game out on the high seas, or simply cast with your toes safely buried in the sand, you can do it all right here in Carolina Beach. One popular way to fish in Carolina Beach is right from the shore. Surf fishing is a favorite among the casual fishermen because it requires little effort or expense. Just gather your bait & tackle and head out onto the beach. If you don’t already have a fishing license in North Carolina, you will need to purchase one before you can cast away. There are short-term, annual, lifetime and privileged licenses available depending on your needs. You can purchase your license here. Finding a spot for surf fishing in Carolina Beach will only require finding a spot on the beach with some open water in front of you. Be courteous of swimmers. Please don’t cast your line while people are swimming nearby. The Carolina Beach Fishing Pier is the perfect option for those who are looking to do some fishing during their vacation. The pier has everything you need to get started. You can buy bait & tackle and rent rods right on the pier so you don’t need to buy/bring your own equipment from home. Also, If you are fishing from the pier you don’t need an NC fishing license since you’re covered under the pier’s license. The Carolina Beach Fishing Pier even has a small restaurant to quell your appetite and keep you fishing for hours. Check out the pier’s Facebook page for more info and pictures of the latest catches. If you’re up for a challenge and looking to find the big fish, a Carolina Beach fishing charter may be your best option. Carolina Beach is home to many experienced captains who have been running successful charters for years. They know all of the best spots and are equipped with state-of-the-art fishing gear. Climb aboard one of their vessels and be prepared to catch a variety of species. Choose a charter from the list below and plan your excursion out on the high seas. Carolina Beach is also home several fishing tournaments each year. Visit us in the fall for the Carolina Fall King Challenge held on the Carolina Beach Pier. This multi-species tournament challenges fishermen to bring in some real monsters. 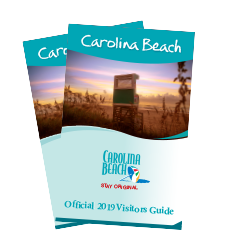 In the spring the Carolina Beach Fishing Pier hosts another multi-species fishing tournament called the Carolina Spring Ruler of Kings as well as the Flounder focused tournament known as the Spring Flatfish Tournament. Stay tuned to our events calendar for upcoming fishing tournament dates around Carolina Beach. Now that you know where you can fish, we’ll take a look at some of the fish you might be reeling in and the hottest months for each species. While there are plenty more species to be found around Carolina Beach, those listed above are most common and seem to swim along the North Carolina coast during the same months each year. Whether you’re planning a fishing trip or just want to do a little fishing on vacation, Carolina Beach fishing has something for everyone. We pride ourselves on our coastal fishing culture in Carolina Beach, and hope that you get to experience it with us during your next visit.